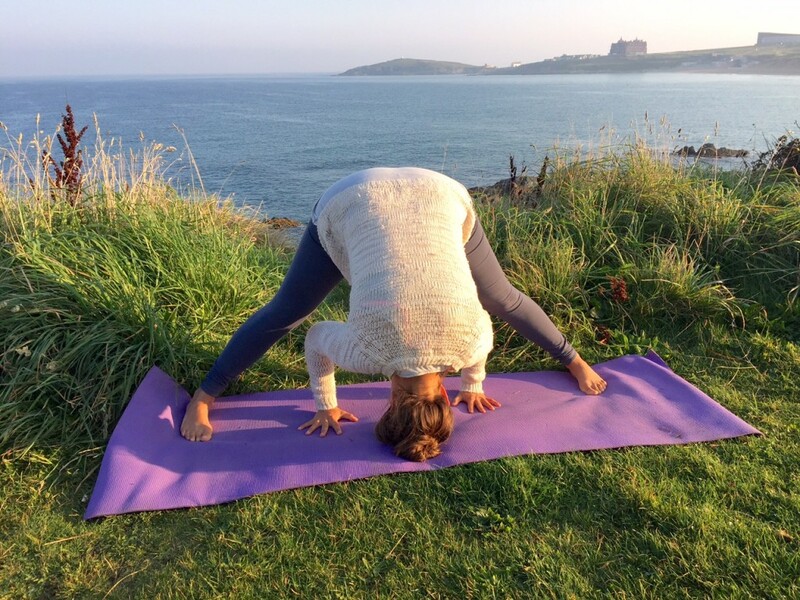 Hatha Yoga poses to calm your mind and leave you feeling grounded and refreshed. In Ayurvedic medicine this time of year is associated with an elevation in the Vata Dosha, or air element, which can make you feel a little off balance. Your mood may be unsettled, restless, nervous or scattered with a racing mind. You may also suffer from headaches, insomnia, dry skin or digestive problems. Fear not! This beautiful sequence of hatha yoga poses will have you feeling grounded, calm and balanced in no time. 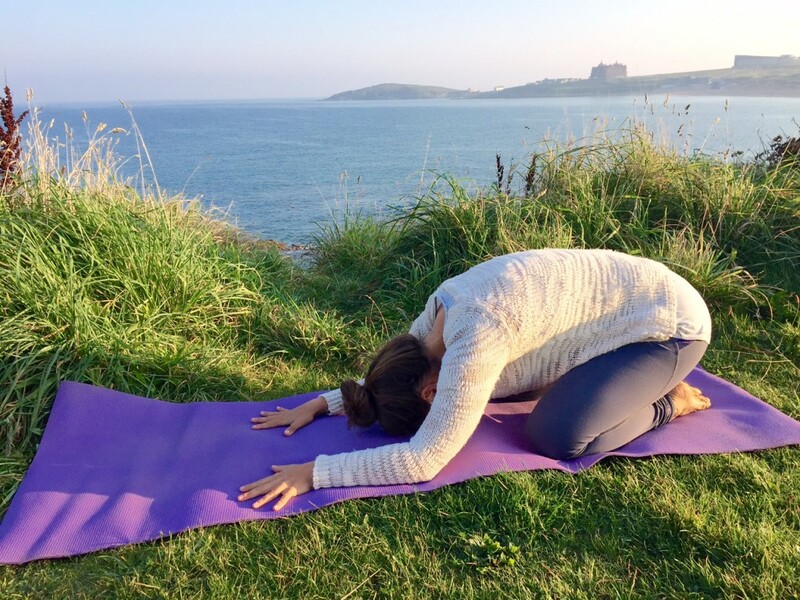 In each pose breath deeply and slowly through your nose and focus on the connection between your body and the earth, whether it’s through your feet in the standing poses or through the whole of the back of your body in Savasana. 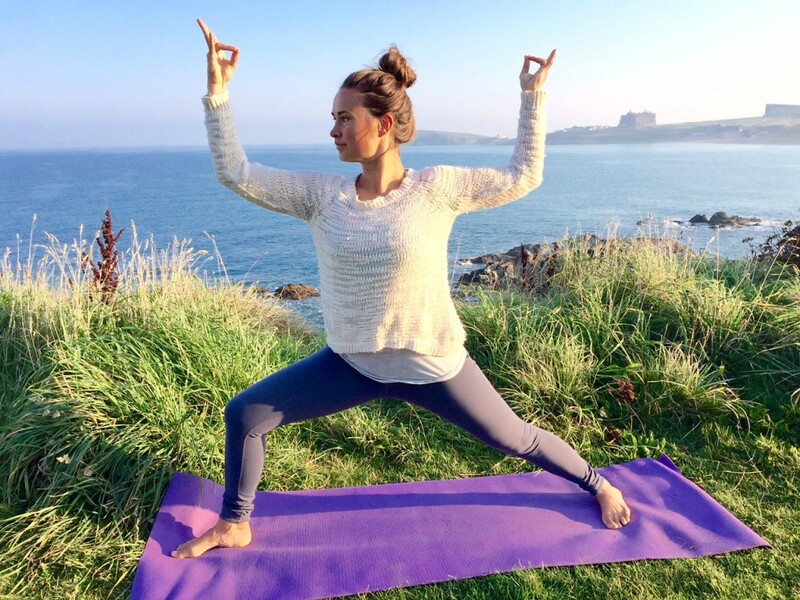 We also utilise Mudras (powerful hand gestures) to deepen the effect of the poses. Enjoy building some heat in your body and spending more time than usual in each pose. This practice is also perfect to do after you’ve been travelling (a very vata activitity). After you’ve finished this sequence you will be wonderfully prepared for a meditation practice. 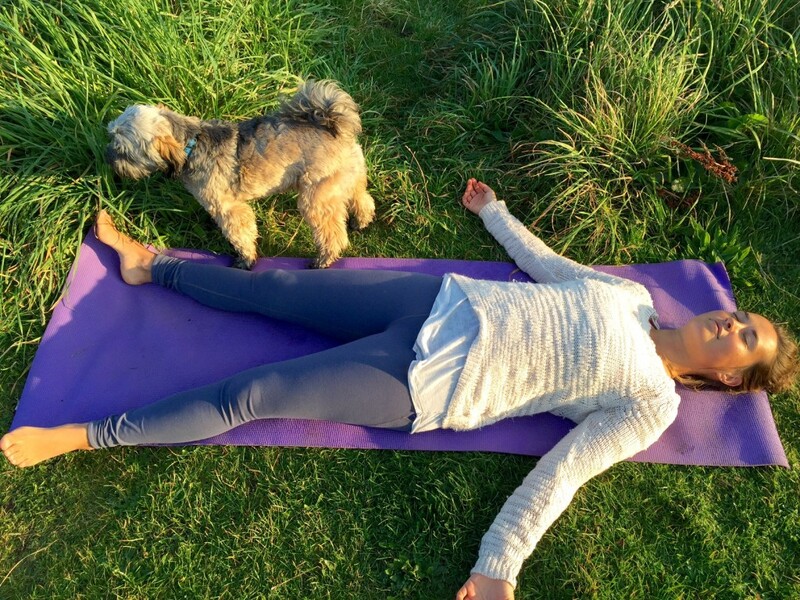 P.S If you’re not signed up to the weekly Shine Yoga newsletter yet do it now! You’ll get an awesome free one day retreat pack instantly plus weekly sequences like this one, recipes, health and wellness inspiration and much more. Click here quick before you forget! 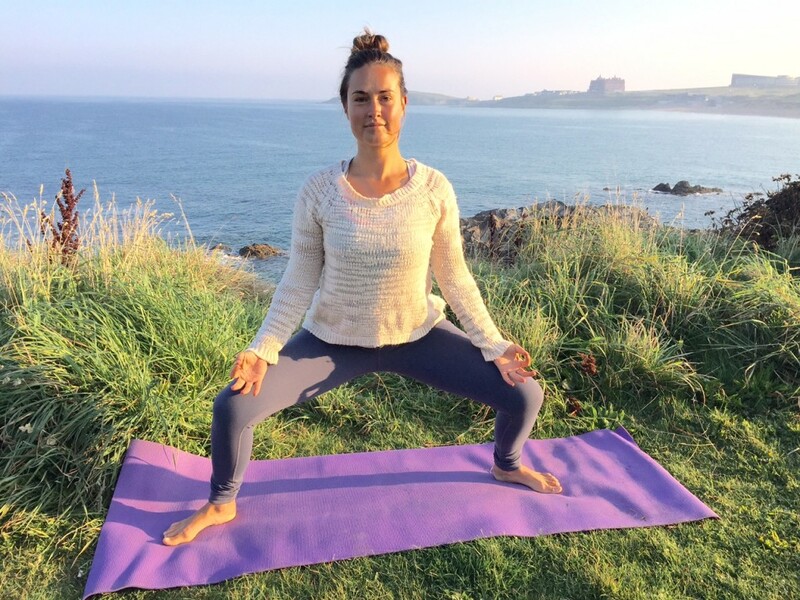 Sit back on your heels with your big toes touching and your knees mat width apart. 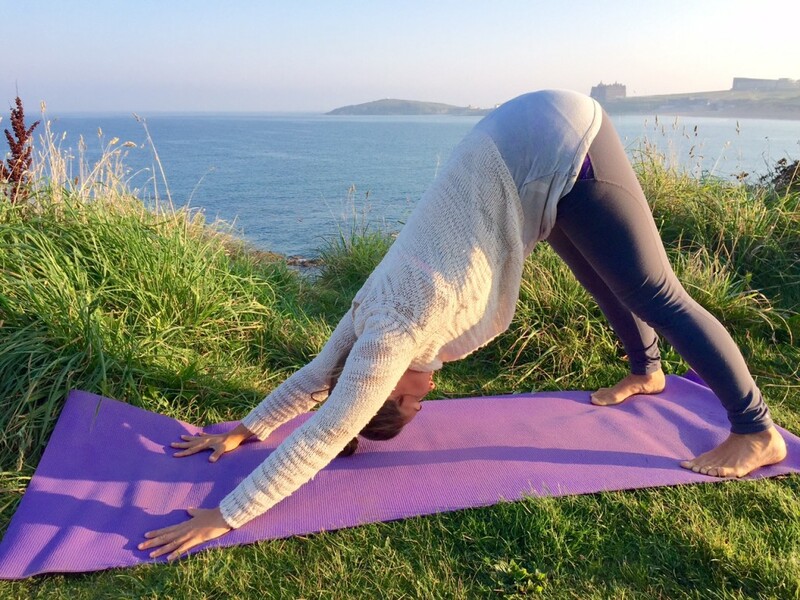 Fold forward to rest your forehead and forearms on to your mat. Relax your shoulders. Spread your fingers wide apart. Take 10 deep, calming and centreing breaths here. From Child’s Pose tuck your toes under and lift your hips up and back coming in to Downward Facing Dog. Step your feet mat width apart and press down firmly into your hands and feet. Walk your feet towards your hands until you are in a forward fold and curl up to stand. Take the sole of your right foot to rest on your left inner thigh or calf. Keep your hips squared forward as you draw your right knee gently back. Cross your left hand over your right on your chest, hooking your thumbs and spreading out your fingers in Garuda Mudra. Take 8 deep breaths then repeat on the opposite side. Stand at the front of your mat then take a big step back with your left leg turning your left foot in at 45 degrees. Bend your front knee so it is directly over your front ankle. Open your hips and shoulders toward the long edge of your mat and extend your arms parallel with the earth. Turn your palms to face up and bend your elbows so your wrists are in line with your elbows. Join your thumb and ring finger in Prithvi mudra . Gaze towards your right forearm. Step your feet wide apart on your mat. Turn your toes out 45 degrees. Bend your knees and lower to a wide squat. Join your thumb and index finger together in Gyan mudra and rest the backs of your hands on to your thighs. Hold for 8 deep breaths. Straighten your legs. Turn your toes to face forward so your feet are parallel. 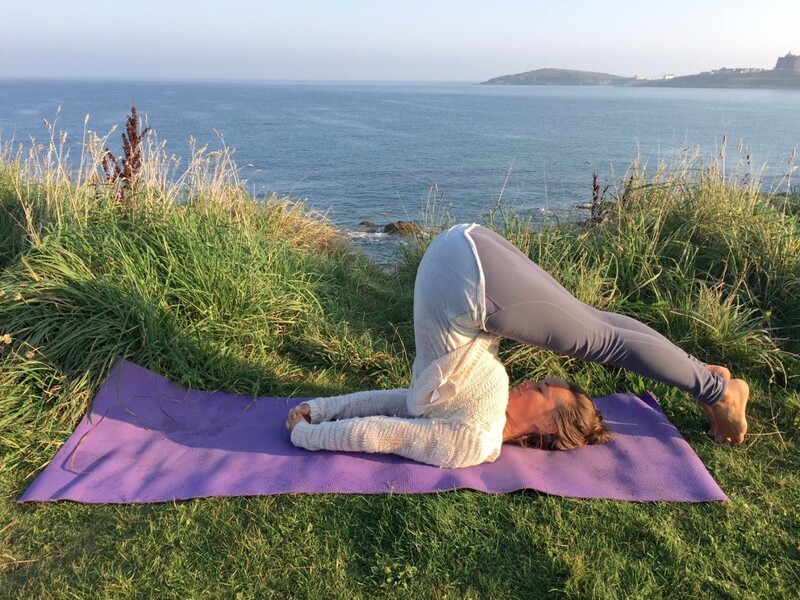 Hinge from you hips and fold forward taking your hands to the earth underneath your shoulders. Feel your legs straight and strong. If you can rest the crown of your head down on to the mat. If you have any neck or shoulder problems leave this pose out. Lie on your back with your arms alongside you and your palms flat to the floor. Swing both legs up and over your head taking your toes towards the floor behind you. If the legs are off the floor keep supporting your back. 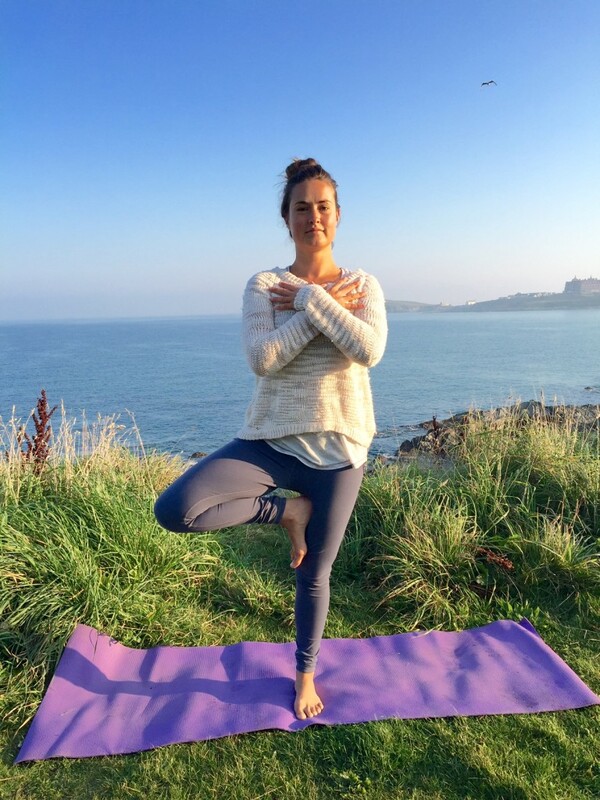 If your feet touch all the way down you can interlace your hands behind your back and press your arms down in to your mat. Move your mat to a wall. Sit with one hip against the wall then swing your legs up the wall so your back, shoulders and head are on the floor and your legs are vertical against the wall. Extend your arms out wide with your palms facing up. From Legs Up the Wall Pose bend your knees so the soles of your feet are on the wall. Let your legs drop to the floor on the right keeping the feet against the wall. Keep your shoulders on the ground and turn your head to look towards your left thumb. Lie flat on your back with your feet at least hip width apart. Let your toes roll out. Arms alongside you with your palms facing up. Stay here for 5 minutes. 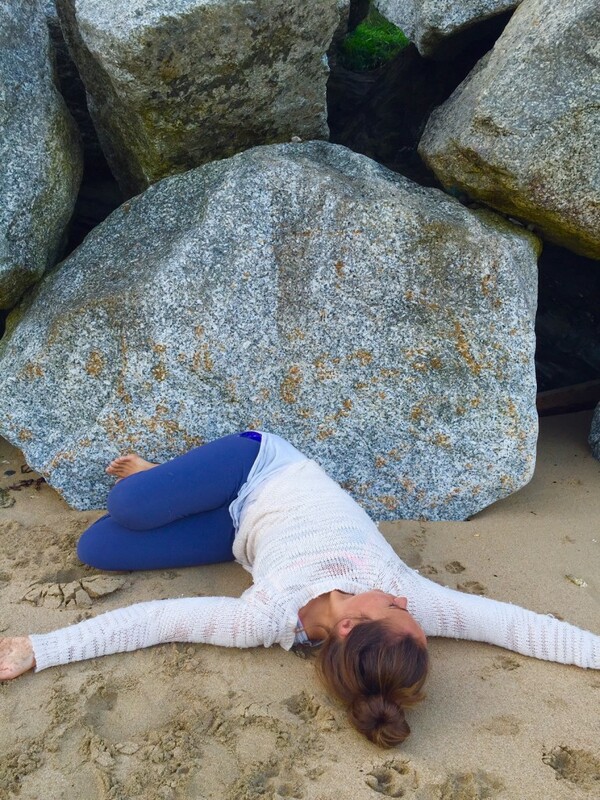 What’s your favourite yoga pose for calming and grounding? Have you felt the effects of Autumn in your body/mind? Comment below and let me know. I can’t wait to hear from you. Attended Jens fab grounding yoga class last Saturday. Set me up for the week amazing. Calm, stretched and positively floating. I enjoy your take on this topic and look forward to new posts and comments. Thanks!